These muffins were on the dense side, but that's not a trait I especially mind in muffins. I was quite happy with the taste -- very lemony and just sweet enough. and mix thoroughly with a wooden spoon, until dry ingredients are moistened and well combined. 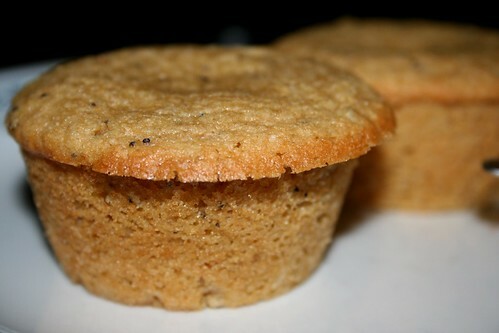 Fill the cups of a lightly oiled 12-muffin tin with the batter. Bake at 350 degrees Fahrenheit for 20-23 minutes.